Queen Crow by Chili Designz is a gorgeous dark, Fall themed scrap kit filled with both dark & light colors. 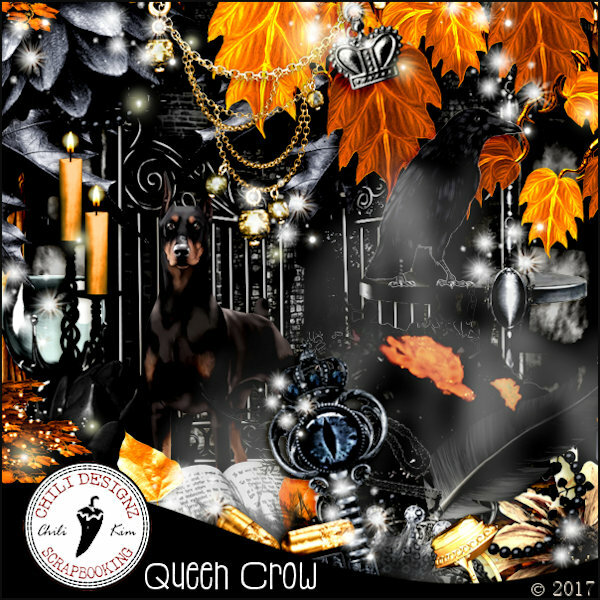 Queen Crow is an SNCO Exclusive matching Kit for the gorgeous tube Queen Crow 1 by Artist Julia Fox; however you can use any tube of your choice. 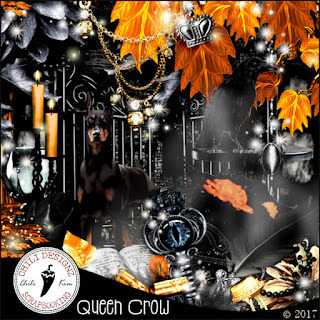 I paired Queen Crow scrap kit with a lovely tube ©StellaFelice7 named Queen of Autumn to create a sample timeline set. 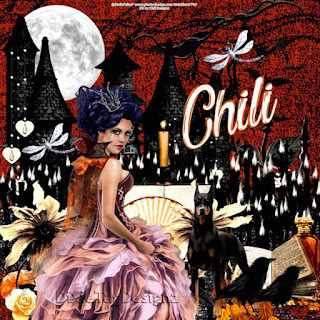 You can purchase Queen Crow scrap kit HERE.